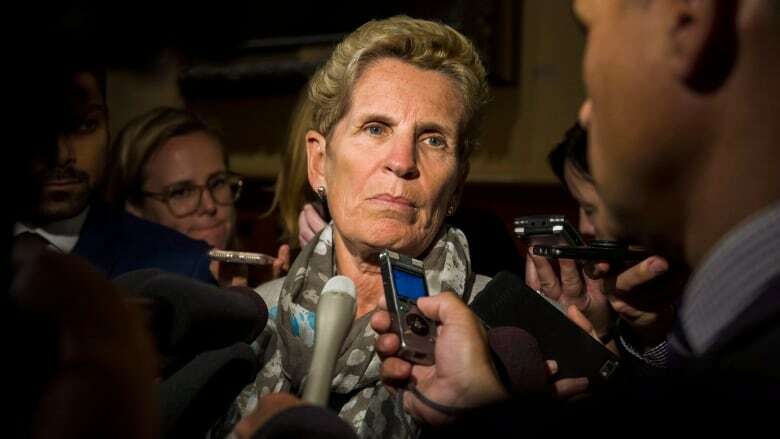 Former premier Kathleen Wynne began testifying Monday before a Queen's Park committee digging into what Premier Doug Ford has called "the biggest political cover-up in Ontario's history." Former premier Kathleen Wynne testified Monday before a Queen's Park committee digging into what Premier Doug Ford has called "the biggest political cover-up in Ontario's history." The committee's mandate is to probe the difference between the Wynne government's projected deficit of $6.7 billion this year and the $15 billion figure the Ford government says was the true shortfall. Wynne testified for two and a half hours. Afterward, she said it is "outrageous hyperbole" for Ford to call the deficit difference a cover-up. "When you talk about a gap, it sounds like nobody knew where that money was," Wynne told the committee. "Everyone knew. Those amounts of money, people knew where they were and they could be absolutely accounted for. There were no secrets here." Progressive Conservative MPPs on the committee questioned Wynne about the reasons for the Liberal government's "Fair Hydro Plan," a program designed to reduce electricity rates by 17 per cent by refinancing the costs of hydro projects through Ontario Power Generation's books instead of the province's. "Whose idea was it to keep the accounting of the Fair Hydro Plan off book? Do you own that decision?" 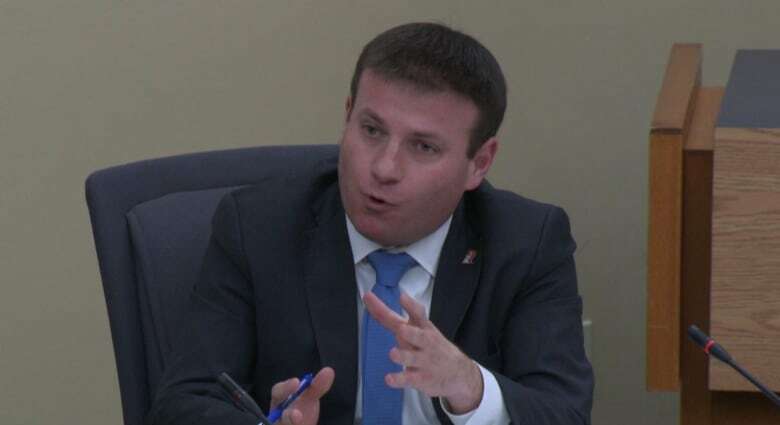 PC MPP Roman Baber asked Wynne. "I take full responsibility for the Fair Hydro Plan in all of its aspects," Wynne said. Baber then challenged Wynne on why her government chose this financing model against the advice of some senior bureaucrats and advisers. "It was my decision as the leader of the government ... to find a solution and that's what we did," Wynne replied. PC MPP Robin Martin pointed to polling the Liberal government commissioned in 2016 about growing concern among Ontarians about electricity prices. "Were your efforts motivated by fear of a backlash at the ballot box?" Martin asked. Wynne responded that "people who didn't have the resources to deal with these challenging electricity prices" caused her particular concern. "My actions were motivated by wanting to solve this problem," said Wynne. "Did I recognize it as a political problem? Yes I did. But at its base it was a human problem that needed to be resolved by government." The creation of the committee was announced by Ford back in September, implying that it would uncover corruption. "We will demand answers about where the money went," Ford said in a speech to his caucus at the time. "A lot of the Liberals got rich, really really rich, under Kathleen Wynne and off the backs of the taxpayers of Ontario." So far, the committee has failed to find any examples of Liberals getting rich since it began work two months ago. "The purpose of our committee was to ask a lot of the questions the people of Ontario wanted answers to, and I'm confident we asked those questions," Ross Romano, the senior Progressive Conservative MPP on the committee, told reporters after Wynne testified. The committee began as "political theatre," countered NDP finance critic Sandy Shaw. "There's not a lot of new information. there's no smoking gun, no testimony where everybody gasps and goes, 'We got to the bottom of this.'" The committee has obtained tens of thousands of emails and cabinet documents about the Liberals' Fair Hydro Plan and their accounting treatment of jointly-sponsored provincial pension plans. Together, the two items meant the Liberals understated the deficit by $5 billion this year, according to an assessment by Auditor General Bonnie Lysyk before the election. Wynne's former labour minister Kevin Flynn has called the committee a "witch hunt" and "Ontario's Inquisition." Wynne has said she will co-operate with the work of the Select Committee for Fiscal Transparency but has said its members should not expect any startling revelations. "Everything that I have to say has already been said in the public realm. I'm happy to say it again at the committee," she said last week. The committee is calling witnesses and gathering evidences for a final report expected later this month.